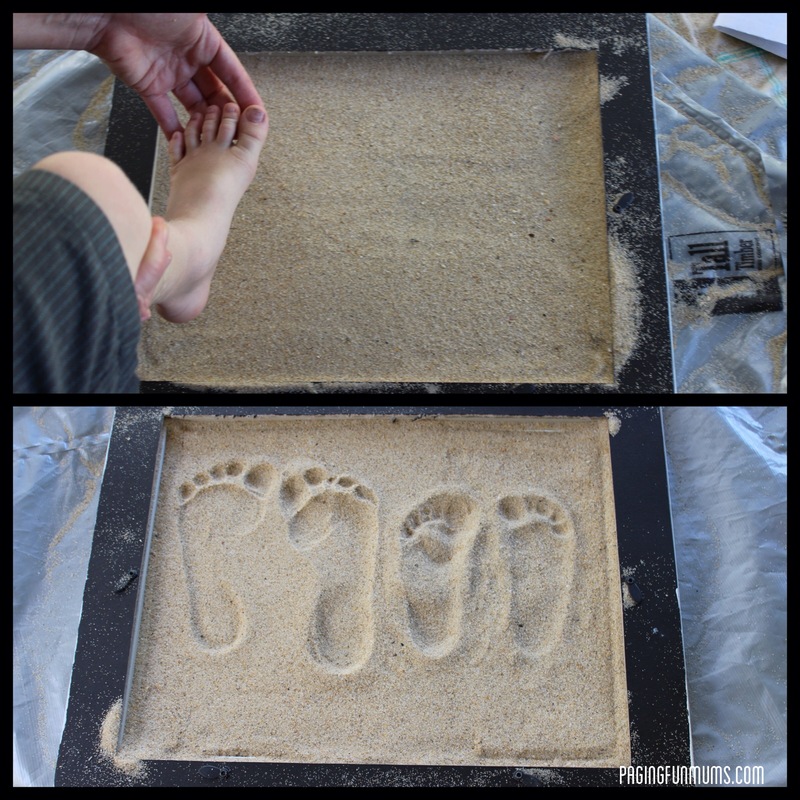 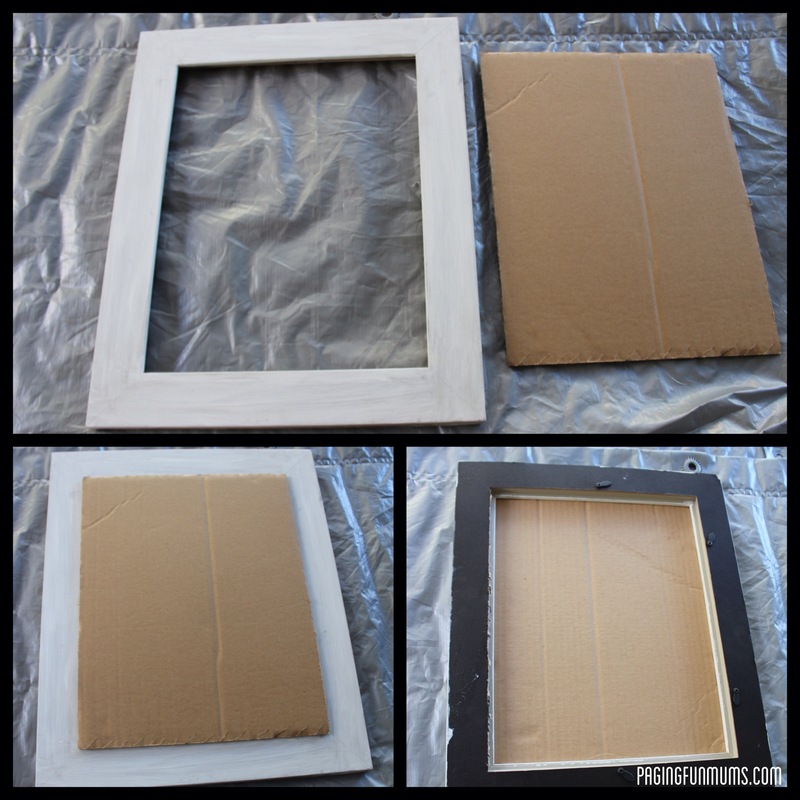 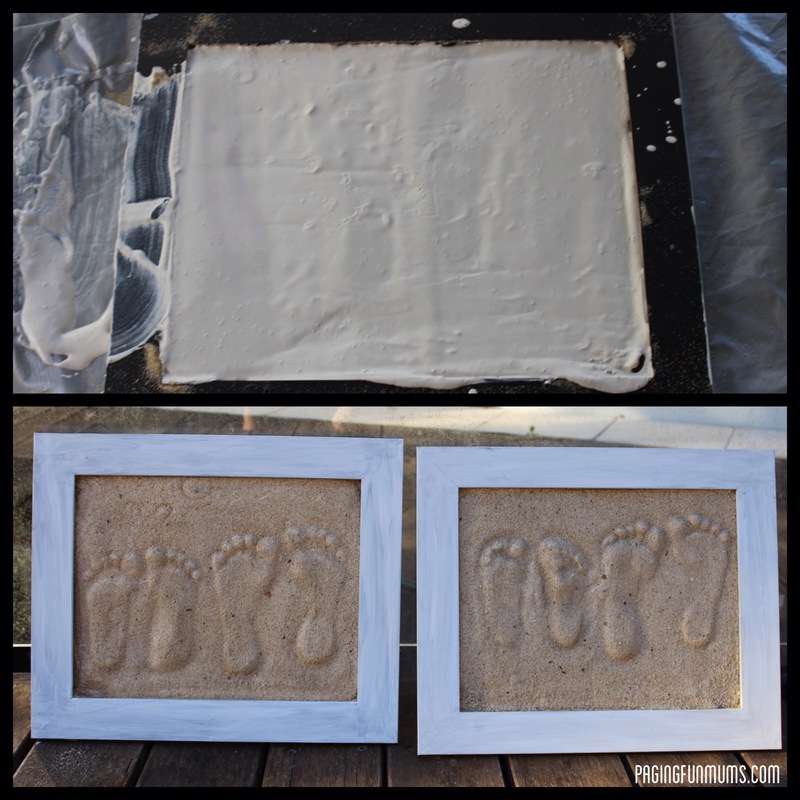 Sand Footprint moulds - using just a Photo frame, sand, plaster of paris and some shells for extra decoration. 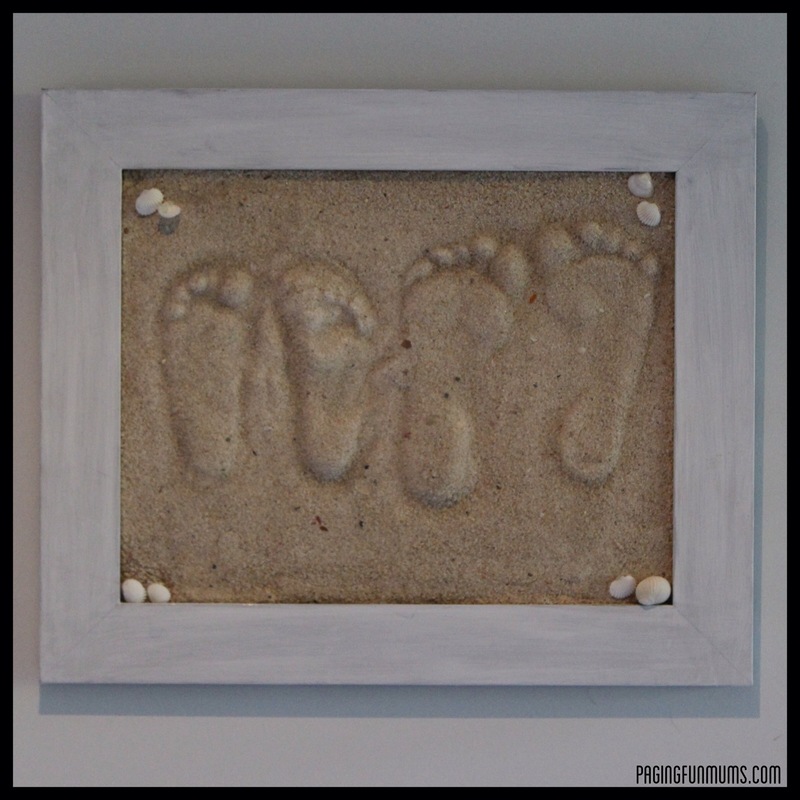 I then used a glue gun to attach some tiny shells around the picture to add some extra detail. 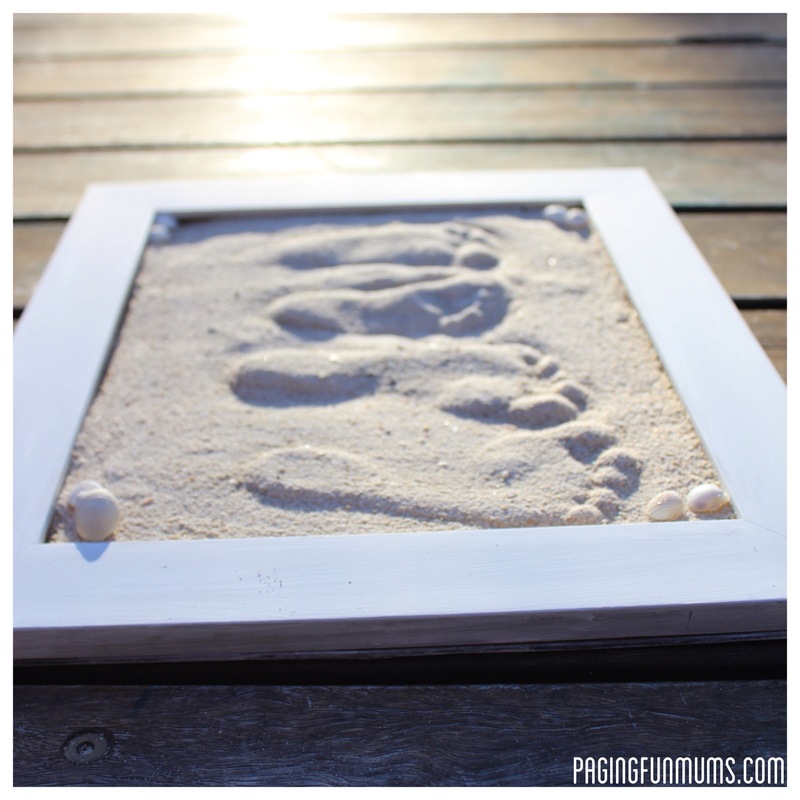 I also wrote “Summer 2013″ on the back with a little blurb about all the fun things we did over the summer. 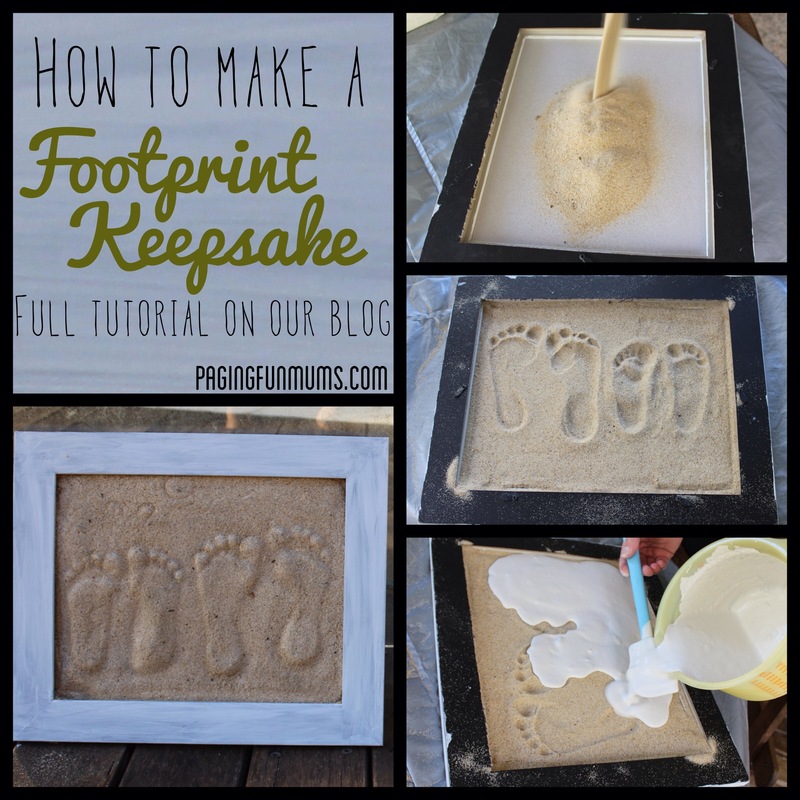 We have added a YouTube tutorial using a handprint which you can view here. 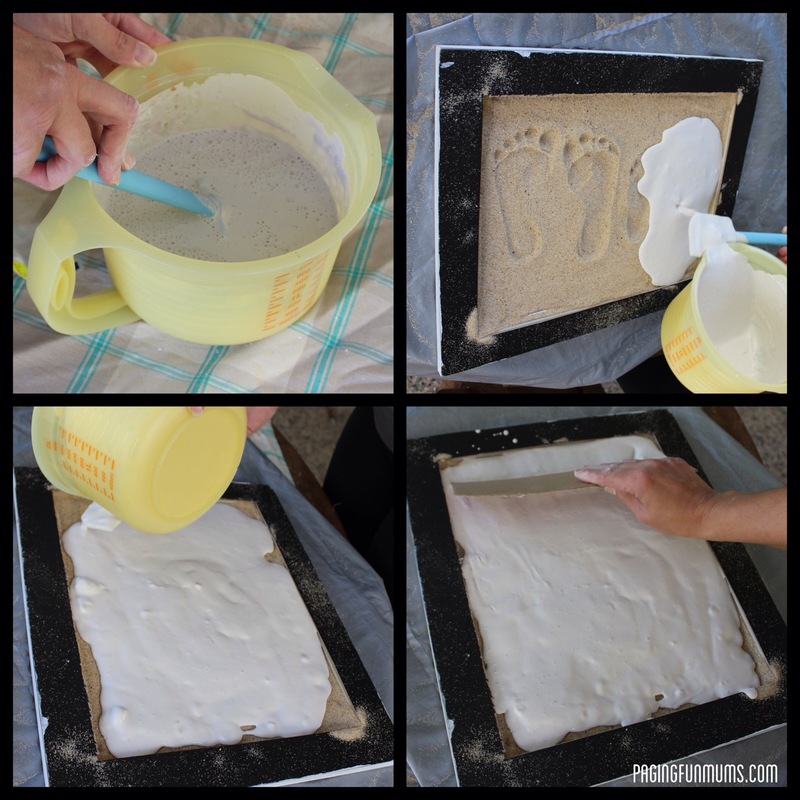 Soft as a Cloud Play Dough – just two ingredients!